Following the Scottish referendum Cornwall Council wanted to be at the forefront of the growing momentum among councils in England to be given greater powers and freedoms. Trisha was asked to lead communications to support the development of a Case for Cornwall and the potential “asks” for a future Devolution Deal. The strategy included initial engagement with local residents, key stakeholders and partners across Cornwall to identify what they felt needed improving. The council also liaised with senior civil servants to ensure that Cornwall’s aspirations for a devolution deal were known within Whitehall. The feedback from this engagement was used to inform the draft Case for Cornwall which was sent to the leaders of the main national political parties in England and representatives of political parties in Cornwall before the General Election. At the same time Trisha launched a local campaign to generate interest in Cornwall and seek the views of partners, including town and parish councils and local residents, on the specific proposals. This included a successful #standupforcornwall campaign on social media, a series of public meetings and an online survey. The results of this consultation were then used to shape the final Case for Cornwall proposals and the draft Devolution Deal “asks” which were sent to the Government. 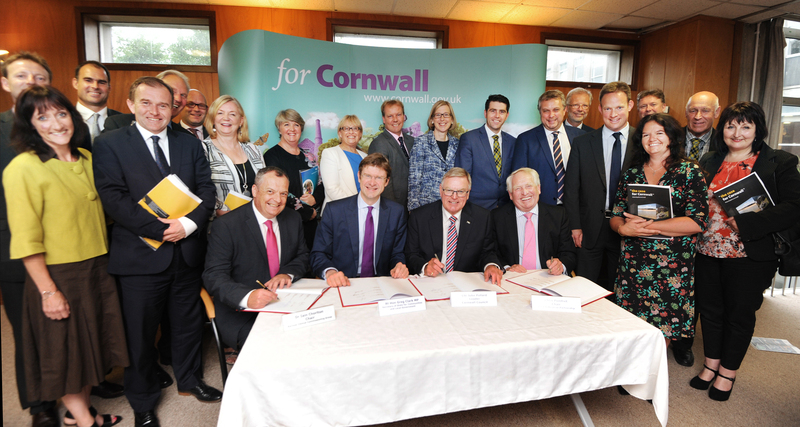 In August 2015 Cornwall was awarded the first rural Devolution Deal in the country. This focused on the areas identified as important to local residents, including transport, employment and skills, EU funding, support for businesses, energy, health and social care and heritage and culture. Following the announcement that the former Prime Minister David Cameron and Secretary of State would be coming to Cornwall to sign the historic Deal, Trisha worked with Whitehall to organise a high profile media event. Following this event she established a bi monthly newsletter to provide ongoing information on the delivery of the Deal.